TAY Time Chat: Happy Early Birthday Mario! And what better way to celebrate the birthday of the old plumber than with a feast! 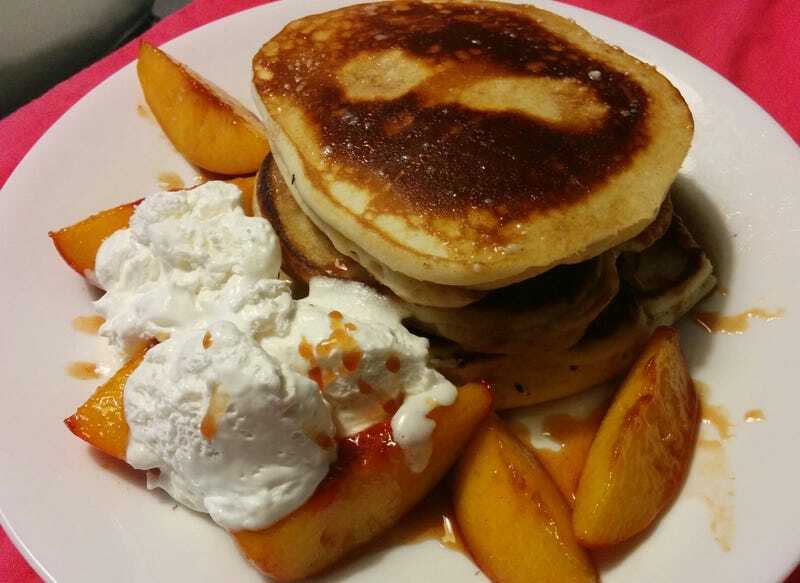 Peach Pancakes! Well... actually this was for my mum’s birthday, apparently she shares her birthday with the release date of Super Mario Maker. So pardon me for being late today, I’ve been busy all day preparing food and the cake then going out for lunch then coming back home to prepare more food... and then eating said food.